The first self-titled track, plays straight out of Behemoth's playbook: a solid slice of blackened death metal with fast as light drums and gutteral vocals spewing their hatred. The second track, Wearer of Wolf's Skin, takes a more straight death metal approach akin to Cannibal Corpse meets Slayer. All that brutalness takes a side step for track three's utter super groove. The God Who Fell To Earth has such a Pantera metal groove going through the whole song, that if you close your eyes, you'd think you were listening to a song written somewhere between Vulgar Display of Power and Far Beyond Driven. The theme continues throughout Witchkrieg, with plenty of winks towards the sounds of Slayer, Testament, and even King Diamond. 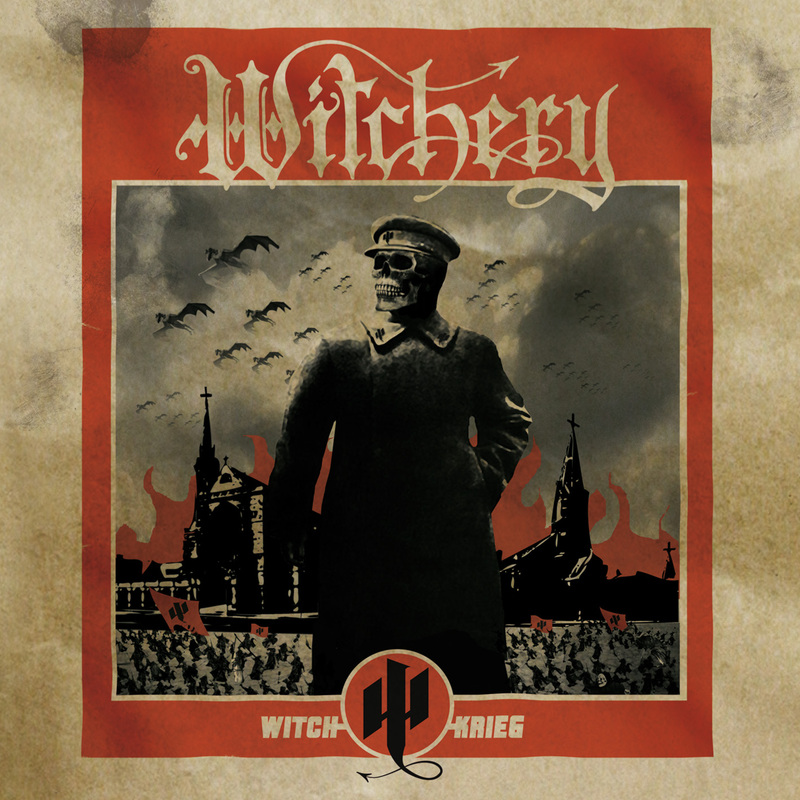 Witchery is very good at showing their roots and even giving the songs their own tune to help identify their sound. However, the idol warship is still a bit higher than the band's own tune. This far into their musical career, Witchery are not about to change their tune, but would be great to hear their own voice 100%. Witchery may have the idol worship set up a little too high, but it's done very, very well. With a touch of their guitar tone and vocal style, Witchery has shown that respecting the past doesn't need an overboard re-hashing of the guitar riffs of old. Witchkrieg is out now, and can be picked up through CM Distro.